You are looking for an accommodation for your next holidays in Croatia? You are wishing for comfort but want to get away from hotels crowded in the summer? If you want to spend a luxury holiday in Croatia, then book a villa. To book a villa will cost you less than a 4 stars hotel, and you will have total privacy. 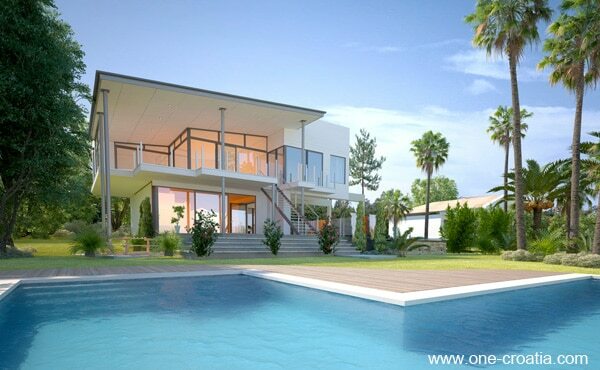 The price depends on the villa itself, the number of person it can accommodates, and the place where it is situated. You should expect to pay from 50 to 100 euros per day per person, that’s 2 to 3 times less than a 4 stars hotel. And you will have the swimming-pool for yourself! Need some help too choose the best accommodation in Croatia? How many of them did you try? Learn about the Croatian currency, the Kuna. 16 facts you must know about Croatia.